Because we are a specialist manufacturer and supplier of architrave and other interior MDF mouldings, we are able to offer a much greater choice of designs than other suppliers- particularly timber merchants and big brand DIY retailers. This section of the website has been put together to showcase some of our more exclusive profiles that are either unique to us or hard to find elsewhere. If you would prefer to finish your interior with an architrave that is a bit more unusual and less commonly found then this is a great place to find what you are looking for. If you have a particular design in mind that is not currently on our website, speak to one of our sales team about our bespoke service. 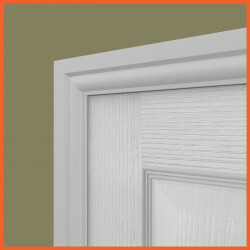 We can create any design you would like, so if you have something you would like us to manufacture our sales team can help you through the process of getting exactly what you need. Ovolo architrave is another profile that is widely known and sought after by both private and trade buyers. The distinctive arc that creates a large part of the profile is very unique amongst our range. 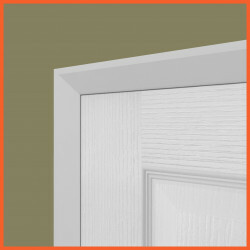 The Ovolo is highly suited to architrave as it provides a smooth shift from the thin inner detail to the bulkier outer square edge.